I’m sure some of you are looking at the title and wondering if the word “Oat” is a typo or if I’m making this bottle up but rest assured it’s real and really made of 100% Oat. 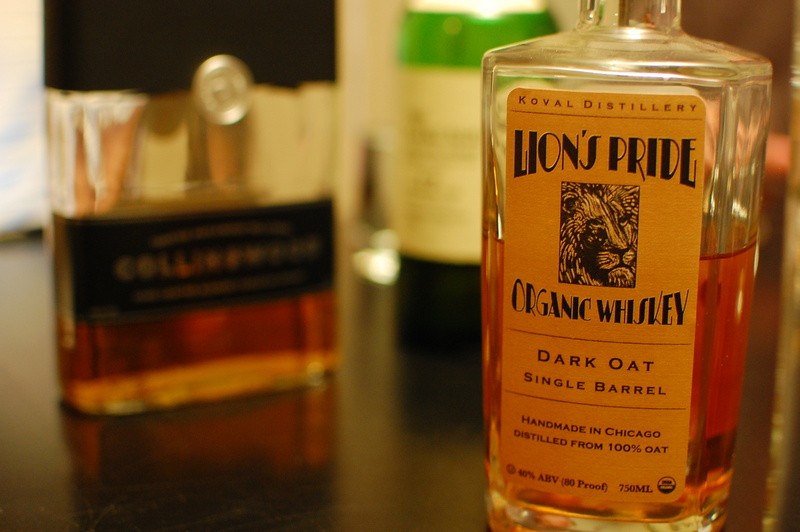 Made by the Chicago based craft distiller “Koval” this Dark Oat Whiskey is one of 5 single grain (both light and dark) whiskeys in their line up including Rye, Wheat, Millet and Spelt all of which are aged for one to two years. Reading about the history of the Koval Distillery you can’t help but notice their strong focus on craftsmanship and quality. Their whiskeys are carefully made in-house using only locally sourced grains and wood for the casks. The barrels are even made from handpicked wood and only used once. To add a finishing touch these whiskeys have no artificial coloring and are certified organic and kosher. To be fair, 2 months ago I didn’t even know that Oat Whiskey existed. I was shopping online for a new bottle to try when I came across a bottle of the Dark Oat Whiskey and was immediately intrigued. I tend to favor some sweeter grain profiles so the concept of using Oat sounded right up my alley. For the most part I am extremely happy with my purchase and look forward to sampling some other whiskeys by this talented craft distillery. Color: Golden yellow not quite the color of honey but still a noticeable amber hue. Nose: Very sweet with undertones of bananas, fresh baked goods and for me a hint of apple. Palate: Creamy and smooth with flavors of caramel, honey, syrup and fudge. Finish: A longer finish that starts sweet then moves slowly to a lingering warm spice. I'd Suggest You: Buy It!